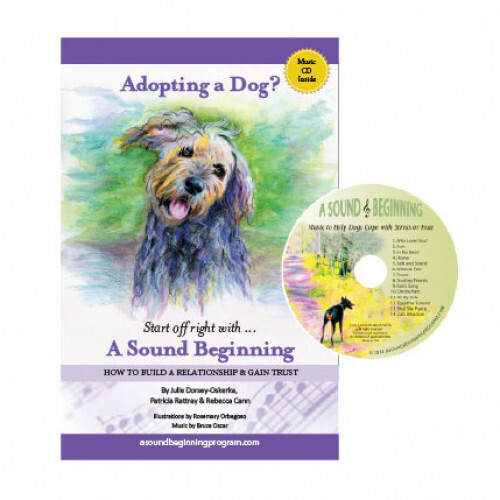 This step-by-step book, including a CD of calming piano music, is a 14-day program designed to make it easy for anyone to prevent mistakes and create a positive start from the very first day you bring your new dog home. Safely introduce kids, new adults, other pets, and establish a routine that will build trust and confidence to last a lifetime…setting your dog up for success! The book is fully illustrated to make it easier to follow the steps outlined in the training exercises. in a downloadable MP3 format!!! Add an MP3 CD to your order and get it for only $5. Apply Coupon Code ADD1MP3 in your shopping cart before checking out. A Sound Beginning CD -- Now in Digital MP3 Forma..